Copier Lease Better Choice for the Office? Whether you will need a copier for daily usage or occasionally, purchasing a copier can become extraordinarily expensive and costly. In addition, it becomes time consuming if you are waiting for your loan approval from the bank. You just want the copier, and a lease can help you to have it much faster. What are some good reasons that you might want to look at leases? First, equipment gets outdated fast, and with the latest technological advancements, you will have a greater competitive edge. 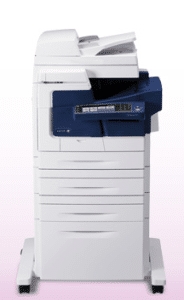 In addition, a lease will give you a different type of tax deduction from purchasing a copier outright. The amount that you can deduct will vary, so you will want to speak with your tax specialist. If you buy new office equipment outright, that will only be partially deductible during the first year, and during the years that follow. However, a lease will let you deduct for the full amount of the lease each time you make a payment. That becomes a wonderful tax break for business owners who struggle to find enough deductions every year. However, whether you should lease or buy depends on your unique circumstances.